Children can be cute, and sweet, and the life of the party. They can also be obnoxious, whiny and disruptive. Do you take a chance on the latter version at your wedding? This can be a difficult choice for a lot of couples. Do you tell your guests (especially the ones traveling from out of town) that they need to leave their children back home or that they need to hire a sitter after they've already kicked out money to come celebrate with you? 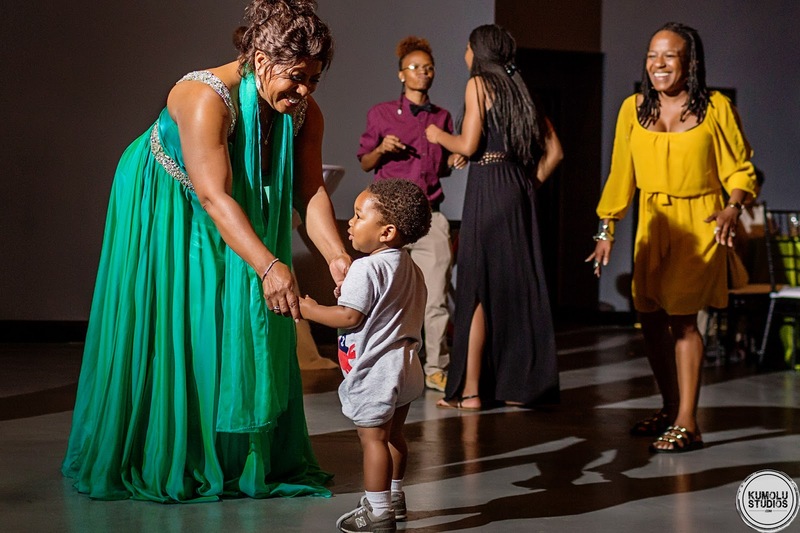 I talked with Joye Speight, owner of Virtue Event Planning in Durham, NC, about a solution I've seen her use, and that is hiring a sitter service at the event. 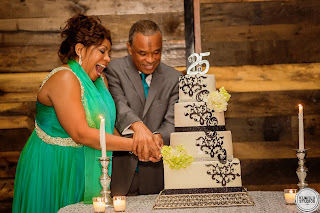 I saw this in action at the Richardson's vow renewal in Raleigh. The couple had initially planned to make the event adult only but they changed their mind at the last minute. Instead they hired a sitter service. The children were upstairs at the venue, 214 Martin Street in downtown Raleigh, with ice cream, movies, arts and crafts and their own dance party. 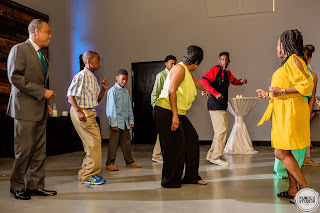 Some of the children eventually joined the grown ups when the dancing started, but that was their choice. They didn't have to sit with the grown ups for the entire reception and they had their own party within the party. If you are considering allowing children to attend your wedding, Joye strongly suggests you have a plan, no matter the age of the children, and no matter your budget. 1) Identify a room at your venue that can be used for babysitting and make arrangements to use it. 2) If you can't afford a sitter service, ask a responsible teenage relative to watch the children for a few extra bucks. 3) Set up a text system for that teenager to communicate with the parents. 4) Create a document for the parents to sign giving permission for that teenager to watch the children, even in family situations. 5) Don't include the sitter service in the invitation. Instead reach out to the guests with children and let them know the service is available. What is your plan for children at your wedding? Please be sure to click the follow button on the right side of the page to keep up with all my blog posts! My son was married recently at the Grand Marquis Ballroom in Garner, NC. Because it was an open bar, he opted for guest 21 & up, which was written on the invite. The invitation actually said on the RSVP portion '3 invited, _ attending'. Or '1 invited, _ attending'. This eliviated unknown plus ones, families with young kids, etc. He did make personal calls to those who may not have understood. I'm sure some were not pleased, but this is the bride & grooms day. In my scenario, the couple financed the nuptials 100%, so it was their decision. Awesome way to handle it and you're right, the bride and groom are paying so they're the bosses. We had a no-child policy for my 10 year anniversary party so I totally understand where you're coming from.